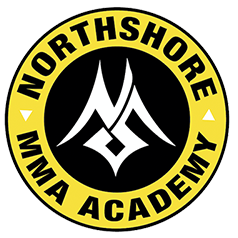 NorthShore Mixed Martial Arts Academy, Building Champions from the Ground up since 2008. Our mission is to help our members develop physically and mentally through the highest quality martial arts and fitness instruction. We seek to improve the lives of as many individuals as possible by creating a comfortable learning environment, not limited to any specific body type or gender. We strive to encourage individuals to lead healthier lifestyles, and to assist them in reaching their goals. Discover your full potential through martial arts and fitness training. Our kid’s martial arts programs provide fundamental training in Brazilian Jiu-Jitsu and wrestling, using grappling as a primary base. Our kids can display the skills they learn in training by choosing to compete in local Brazilian Jiu Jitsu tournaments, USA wrestling free and folk style tournaments as well as Greco Roman and submission grappling tournaments. The curriculum’s primary objective is to teach students valuable life skills through the discipline of mixed martial arts. Kids focus on self-development, utilizing the mantra “from our weakness shall come our strength”. Students are motivated to learn and be challenged to continually progress in rank. This core philosophy promotes an excellent work ethic resulting in the development of goal setting habits and leadership skills. Our adult programs are designed to successfully integrate all different skill levels into the program. The curriculum is structured so each individual can learn at their own pace, according to their personal goals. The primary focus is learning the fundamentals, improving fitness levels and having a good time in the process. All classes have a strong strength and conditioning component. The NSMMA curriculum is unique, in that specific skills, techniques and fitness benchmarks are outlined for the student to follow and measure their progress at their own pace. Owner Joe DeRobbio has been teaching, training and competing in martial arts for over 30 years. Joe’s diverse business and coaching experience in personal self-development, business leadership, wrestling, MMA, boxing and fitness gives him the ability to connect with people of all skill levels. Joe is the founder of Combat Games MMA promotion company and one of the lead educators for Washington State Combat Athletic Department. Joe has 15 years professional referee experience and 10 years’ experience promoting professional mixed martial arts events. Joe has spent decades learning and training with some of the world’s best fighters and corner-men. Whether you want to compete, or just learn how to live healthy, Joe has the knowledge, staff, and facility to assist you in your goals. NorthShore Mixed Martial Arts Academy in Woodinville, Building Champions from the Ground up since 2008. Our mission is to help our members develop physically and mentally through the highest quality martial arts and fitness instruction. We seek to improve the lives of as many individuals as possible by creating a comfortable learning environment, not limited to any specific body type or gender. We strive to encourage individuals to lead healthier lifestyles, and to assist them in reaching their goals. Discover your full potential through martial arts and fitness training. Joe has spent his entire life in sports and fitness. His love for wrestling developed into a passion that would lead to a lifetime of learning and exploring fitness and martial arts. Joe has over 30 years experience as a certified personal trainer, group fitness instructor, physical education teacher, conditioning coach, wrestling coach, and martial arts instructor. Joe’s diverse coaching experience gives him the ability to connect with people of any age, gender, and skill level. His passion is coaching kids in Brazilian Jiu-Jitsu and wrestling, with the belief that the grappling arts are a great platform to teach life skills, self-discipline and a good work ethic. Whether you want to compete, or just learn how to live healthy, Joe has the knowledge, staff, and facility to assist you in your goal. Mathias started training when he was 17 years old in the arts of Kickboxing and Muay Thai, he has primarily trained in those arts ever since. He has successfully tested his skills in the local amateur competitive circuit. Mathias is knowledgeable, motivating and articulate in his coaching. His attention to detail helps students improve their technique while having a great time. He is known for his upbeat personality and ability to make everyone match a positive energy in the room. Malia grew up in the culture of MMA and has followed in her father’s footsteps. She began training Jiu-Jitsu at the young age of 8 under her dads instruction at this very academy. Now she is a young adult, training for her blue belt while assisting her father in the Kids Jiu-Jitsu class that she once took years ago. Malia has a connection with kids and strives to be a role model for them. Malia has also worked as our manager for years and knows the Academy well. She is a friendly face and is willing to answer any questions you may have. She looks forward to forming a relationship with many of the faces she sees in the academy as she is often the person who will greet you. Lily is known for her welcoming smile. She is a staff member you can rely on to answer your questions and help you begin your journey here at NSMMA. She is our newest member of the team and is a great match to the positive and upbeat energy we carry here at NorthShore. Sean is NSMMA’s Yoga instructor. Yoga is a newer addition to the curriculum we have at our Academy. Our Yoga class is unlike any other Yoga, thanks to our instructor. Sean has created a twist on traditional yoga and added movements to the art that mimic techniques we often use in MMA. Sean has been instructing for ___ years and is excited to bring something fresh to our academy. Cassius Clay is the academy’s cutest staff member! He will often be found sleeping behind the front desk, or waiting patiently for our members to arrive. He is always most excited to greet kids of our Little Badgers Jiu-Jitsu program. Cassius is a dedicated staff member at NSMMA and is guaranteed to make you smile. He is so dedicated in fact, he has made “Employee of the Month” every month, since his first day on the job.